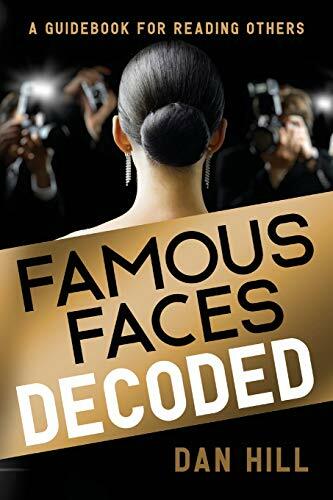 Heralded by Kirkus Reviews as a "smart, entertaining book" with "clear examples," Famous Faces Decoded includes nearly 100 illustrations and is full of celebrity stories. Emotional intelligence, aided by the scientific tool facial coding, provides insights into celebrity personalities, with an online quiz and celebrity photos as bonus material. Unless you've never been lied to in life, you know that words aren't enough in assessing people and situations. Vital to emotional intelligence is fluently reading the language of facial expressions. Famous Faces Decoded shows you that emotions are hidden in plain sight on all of our faces. You'll learn how emotions shape and reflect our personalities, driving behavior. There is no better, in-the-moment way to reliably grasp what's going on with those you love or work with. This book is fully of lively stories about stars you know, or think you know, from the realms of Hollywood, music, sports, and the media, to leading politicians and business people. The examples highlight celebrities from four eras: The Silent Generation, Baby Boomers, Gen X-ers, and Millennials. From whom to hire, to sales, negotiations, and interacting with your boss, colleagues or customers, as well as in dating, marriage or handling your kids, Famous Faces Decoded will help anyone keen on securing more steadfast rapport with others. If you have any questions about this product by Sensory Logic, contact us by completing and submitting the form below. If you are looking for a specif part number, please include it with your message.